"Yarka" means bright and vibrant. 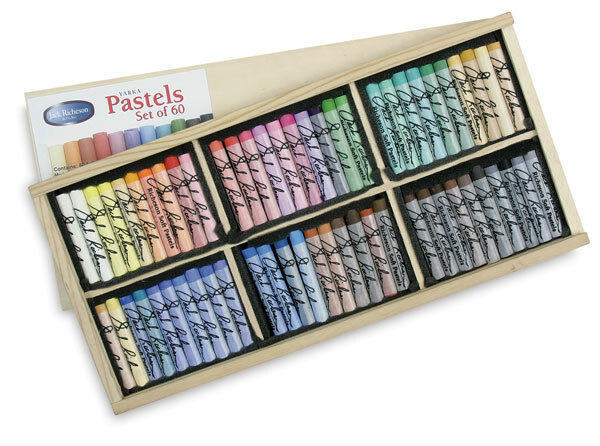 Lightfast pastels of finely ground mineral and earth pigments. Medium-soft grade, a velvety response, and many colors. Assorted color sets in varnished wooden box.